With a stay at Hotel Vittoria in Pompei, you'll be a 1-minute drive from Pompeii Archaeological Park and 8 minutes from Gulf of Naples. This 4-star hotel is 9.6 mi (15.4 km) from Ercolano Ruins and 14.4 mi (23.2 km) from Mount Vesuvius. With a stay at Hotel Forum, you'll be centrally located in Pompei, steps from Pompeii Archaeological Park and within a 5-minute walk of Shrine of the Virgin of the Rosary of Pompei. This 4-star hotel is 3.3 mi (5.3 km) from Villa Poppaea and 10.2 mi (16.4 km) from Ercolano Ruins. Hotel Palma is in the heart of Pompei, within a 5-minute walk of Shrine of the Virgin of the Rosary of Pompei and Pompeii Archaeological Park. 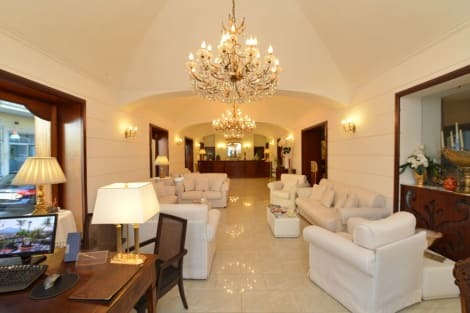 This 4-star hotel is 3.8 mi (6.1 km) from Gulf of Naples and 12.2 mi (19.7 km) from Ercolano Ruins. 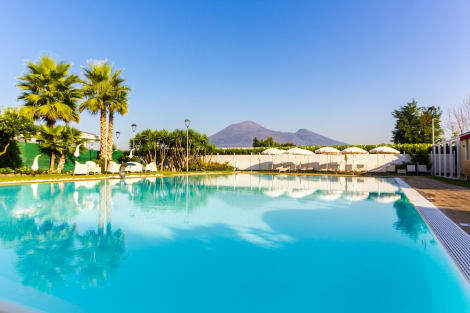 With a stay at Resort Bosco De' Medici, you'll be centrally located in Pompei, within a 5-minute drive of Pompeii Archaeological Park and Shrine of the Virgin of the Rosary of Pompei. This 4-star hotel is 4.9 mi (7.8 km) from Gulf of Naples and 12.7 mi (20.5 km) from Ercolano Ruins. At Pompei Resort, enjoy a satisfying meal at the restaurant. Quench your thirst with your favorite drink at the bar/lounge. Buffet breakfasts are available daily from 7 AM to 10 AM for a fee.